Bad credit rating? Blacklisted? Need a car for your family? No problem! Earn-A-Car offers an easy, affordable and accessible rent-to-own car finance option for clients who have traditionally not been able to get a car with bad credit. And, there is a huge range of pre-owned family cars for you to choose from. Earn-A-Car offers easy vehicle rent to own solutions in South Africa. With our simple ‘Rent to Own’ vehicle solution, we are geared toward providing for those who are unable to get car finance with bad credit – including those who are blacklisted. All you need is your proof of income that shows you are able to make a simple monthly payment of between R3 000 and R6 000 as well as a down payment amount of R16 500. You can possess your own car in as little as 54 months. 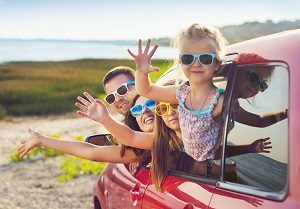 Contact Earn-A-Car today to view their range of quality pre-owned vehicles, and find out more about how they can help you find the perfect family car.